#OCCUPYWALLSTREET is happening right now at Liberty Plaza! 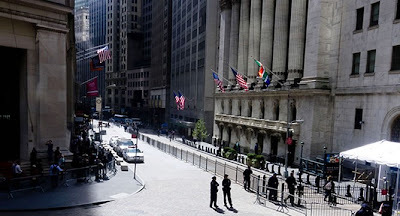 It started last Saturday, when 5,000 Americans descended on to the financial district of Lower Manhattan, waved signs, unfurled banners, beat drums, chanted slogans and proceeded to walk towards the "financial Gomorrah" of the nation. 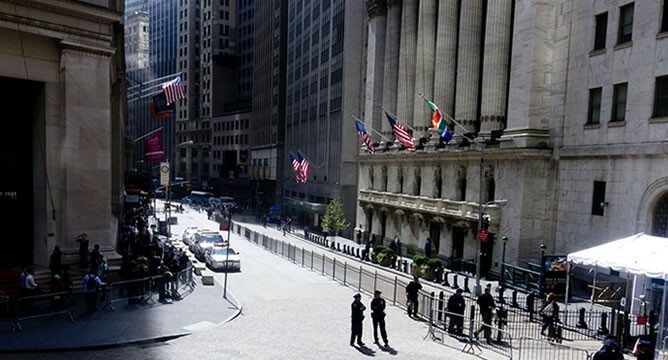 They vowed to "occupy Wall Street" and to "bring justice to the bankers", but the New York police thwarted their efforts, locking down the symbolic street with barricades and checkpoints. Undeterred, protesters walked laps around the area before holding a people's assembly and setting up a semi-permanent protest encampment in a park on Liberty Street, a stone's throw from Wall Street and a block from the Federal Reserve Bank of New York. Three hundred spent the night, several hundred reinforcements arrived the next day and as we write this, the encampment is digging in for a long-term stay. #OCCUPYWALLSTREET has been established in Zuccotti Park, which has now been renamed Liberty Plaza. With Liberty Plaza liberated, and acting as a base in the financial district, the indignados have been sending out raiding parties to nearby Wall Street and beyond. Now, it is crucial for everyone from all over the world to flock to the encampment. Call in to work sick, invite your friends and hop on a bus or plane to New York City. We need you at Liberty Plaza! PS. The media is finally buzzing about #OCCUPYWALLSTREET. There have been reports at Democracy Now!, MSNBC, CNN, WSJ, NYT, El Pais and elsewhere.